ScubaDiveJamaica | Why Are Scuba Diving Fins So Important? It’s important that your scuba diving fins fit good. Why Are Scuba Diving Fins So Important? 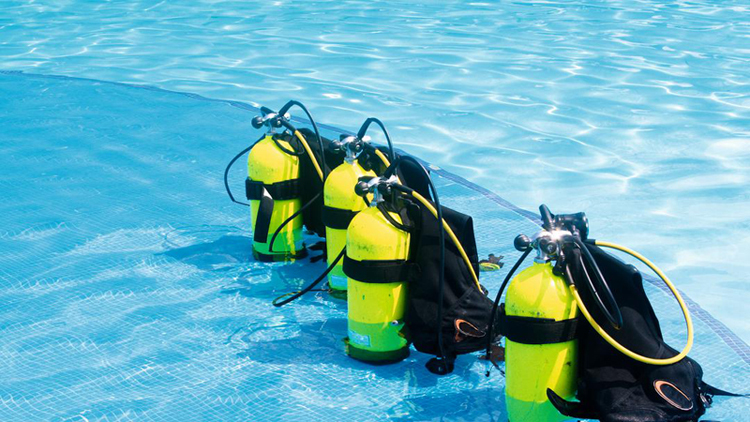 You may think the most important piece of a scuba divers equipment would be the oxygen tank, but for a diver, the scuba diving fins are very important also. First of all, the fins allow you to move around in the water without much effort, they allow you to quickly propel yourself in case of emergency and they also leave your arms free to do other things while diving. Without a good pair of scuba dive fins, scuba diving would be very difficult and you’d probably be too exhausted to enjoy it much anyways. Before you even get into the water, make sure your scuba diving fins are on and make sure they fit snugly. You don’t want them coming off once you’re in the water, and believe me, it happens. You’ll not only have a hard time getting them back on again but you’ll also find that scuba diving is very difficult without them. Just try moving around in the water without your flippers for a little while and you’ll quickly understand how difficult it is to control yourself. Scuba diving fins are wide and flat, come in a variety of styles and move you through the water without much effort. This allows you to move quickly, either away from a large fish or dangerous reef, or to the surface if you happen to need air. Scuba diving fins make it so that you can just kick your legs to move through the water. This makes it so that you don’t have to use your arms as much. Your hands are thus free to do whatever it is you’d like to do once underwater, such as take pictures with an underwater camera. When you are underwater, kicking your legs to move through the water using your fins, you’ll find that you don’t expend as much energy as you would if you didn’t wear the flippers. 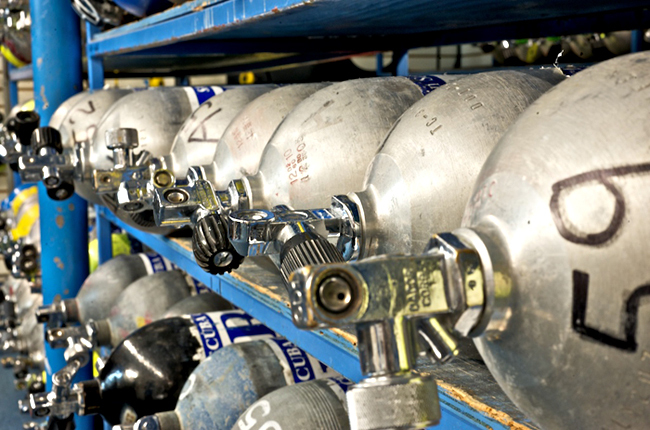 This makes scuba diving a relaxing and enjoyable experience. If you had to kick and wave your arms to swim, as you would without fins, you’d find that carrying that tank around on your back would deplete your energy making scuba diving an tiring and exhaustive exercise. Now that you know the importance of scuba diving fins, and how fun diving is with them on your feet, make sure you get a solid pair, make sure they fit correctly, and make sure you know how to use them before you even get into the water. A good scuba diving class will give you all the knowledge you need to use your fins as well as all the other scuba dive equipment you’ll be using once you’re under the water’s surface. 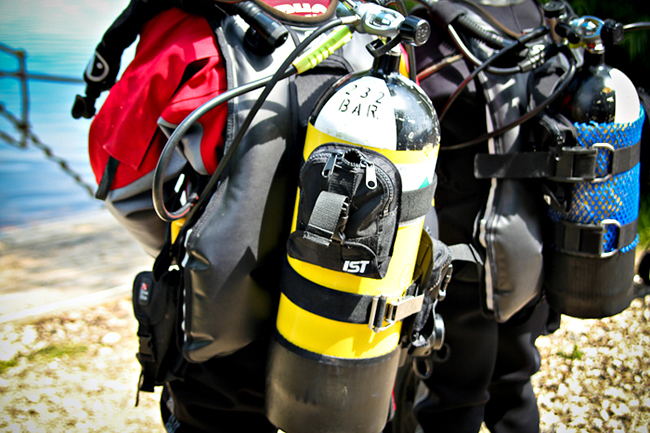 Learn the importance of all your equipment used on a dive. Having the proper knowledge and skills may one day save your life! 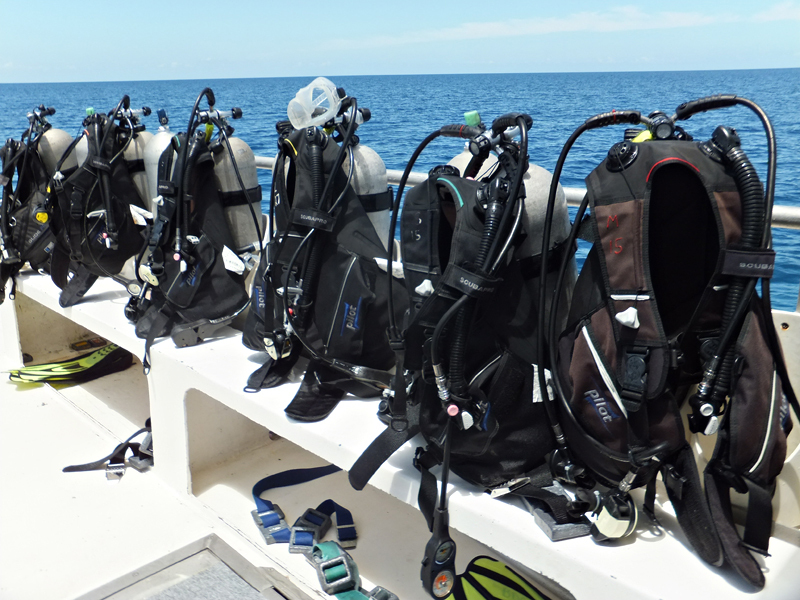 This entry was posted in Accessories, Basic Skills, Dive Gear, Safety, Scuba Diving. Bookmark the permalink.